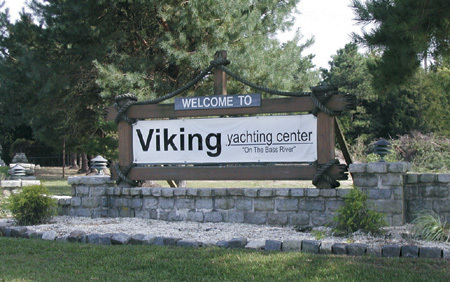 Situated on the tranquil shores of the Bass River, just north of Atlantic City, the Viking Yachting Center is a weather-protected haven for boats up to 50 feet. Purchased and renovated by the Viking Yacht Company in January of 2003, the 32-acre facility boasts many modern amenities including 250 deep-water slips, a pool and pool house, barbeque and picnic areas, bathhouse, fuel dock, nighttime security, full-time service department and many other features aimed at making your stay enjoyable. The Viking Yachting Center understands the importance of quality service and has developed a first- class team geared toward providing support to all of our customers. Our skilled technicians perform a variety of tasks including winterizing, winter storage, detailing, machine shop work, bottom painting, haul outs and other routine maintenance. The Yachting Center is also equipped to handle more complex jobs such as major insurance work, repairing damage by grounding, repowering, lightning strike repairs, structural repairs and electrical systems. You can rest assure that a call placed with the VYC service team means that every issue is dealt with in a consistent, professional and timely fashion by our expert staff regardless of the size and scope of the project. If you are searching for the perfect place to spend time with family, you may want to consider the Viking Yachting Center as a homeport given our proximity to the Great Bay and Little Egg Inlet. These areas are just a short run by boat and offer up some of the best fishing, claming, crabbing, kayaking, site seeing and cruising around. Venture outside the marina via car since we are surrounded by many local attractions such as fine dining and the glamorous casinos of Atlantic City. Or maybe exploring the beautiful beaches of the Jersey Shore is more your pace, well Long Beach Island is just a hop, skip and a jump away. Have a passion for maritime history? Be sure to visit the historic Tuckerton Seaport just a few miles up the road. 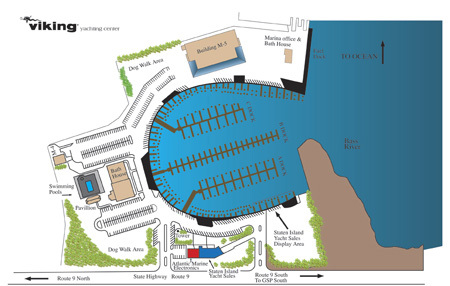 The Viking Yachting Center has it all, come visit us today! Copyright © 2019 Viking Yacht Company. All Rights Reserved.